In January of 2011, Marie was invited to guest lecture for the Hospitality Department at Bay State College... and so began a new career path! 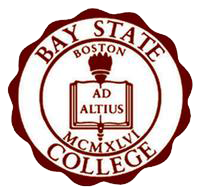 In the Fall of that same year, Marie joined Bay State College. She engages students through interactive classroom and online instruction on best practices in event planning, hospitality and business management through lectures, group discussions, written and oral projects, assignments, guest speakers, use of multi-media resources, homework, and examinations. She has built online course shells for future teachings and to supplement learning. She provides hands-on training on meeting operations and answered participant questions on planning processes and techniques for the students' success with clearly defined event and conference management learning objectives and concrete 'takeaways'. She works as a mentor to her students on educational and professional career development strategies and opportunities. Marie has taught several courses at Bay State College in Hospitality, Business, and Marketing. After receiving her Masters of Tourism Administration, with a Concentration in Event and Meeting Management from the George Washington University in Washington, DC, she has taught Meeting and Event Management for several Boston Area Colleges and Universities... including Endicott College, Fisher College, Lasell College and for the School of Hospitality Administration - SHA at Boston University. For a specific list of courses, please ask Marie to share her CV!